Flooding can be a concern with large snow drifts, especially with the record snow fall some areas saw in February. LATAH, Wash. — Two weeks ago you probably couldn’t tell where the road was on State Route 27 because of the large snow drifts. Mounds of snow created walls of ice nearly 15 feet high and whiteout conditions for drivers. The first week of Spring is living up to its name, the Inland Northwest has seen the warmest temperatures of the year. Flooding can be a concern especially with the record snow fall some areas saw in February. The good news is snow reflects the sun and doesn’t absorb as much heat as other objects such as pavements. This means as long as we don’t see a drastic warm up, those large snow drifts may stick around longer and melt slowly. A drive down Highway 27 and you'll see a lot of ponding off the sides of the road and some runoff water on the road. It’s a stark contrast of what you could or couldn't see during February's snow storm. "They would just get it opened up and then it would drift over again,” Josh Heaton described. 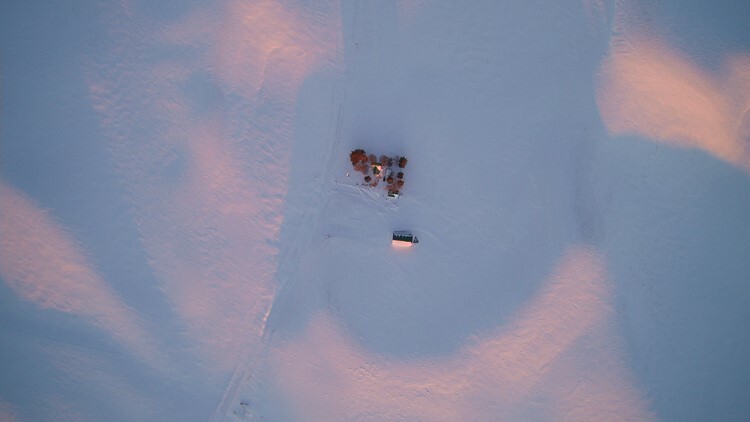 Check out this aerial view of Heaton's Latah home. You can't even tell where the roads are. He was stuck in his home for 11 days because the snow drifts simply made it unsafe to leave. "Just a featureless mass of snow, it was crazy,” Heaton said. Back-to-back days of sunshine is helping make life return back to normal. Check out this side-by-side comparison from WSDOT of how much the conditions have changed. "They cut into that today with one of the blowers and pushed it over the side to make sure there's extra room,” said Ryan Overton with WSDOT. DOT crews are clearing fog lines and shoulder lanes. The nicer weather is creating new challenges for drivers, the snow runoff covering the road on State Route 25. "If you look around today, you would hardly think we're having the ‘snowpocalypse’ here a couple of weeks ago,” Heaton said. 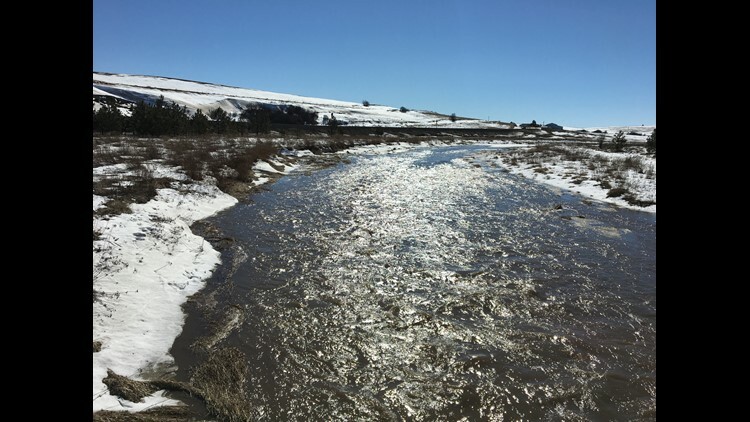 Although, Hangman's Creek looks more like a river, it's higher than normal, but the good news is the snow is melting slow. It's welcome news to farmers like Heaton, who are eager to get back to work. "We're in a waiting game, we can't be farming around all these drifts out there. It'll be another week or so before we get to hit the fields,” he said. You might encounter some water on roadways like this and at night it's still pretty cold and it could turn into black ice, and WSDOT wants to make sure drivers pay attention.